All student employment on campus at SHSU is coordinated through the Career Services, Jobs4Kats. All international undergraduate and graduate students are eligible to work on campus during the academic year. During the fall/spring semesters, students are limited to 20 hours per week. However, during the summer semester(s), international students are allowed to work up to 40 hours per week (per USCIS regulations), without being registered for class. Currently, students are limited to 28 hours a week per SHSU during summer breaks. Before an international student can be employed, he/she must obtain a social security number. 1) Get a letter from the employing department which includes. Their hours are 9 a.m. to 3 p.m.
International students may not work off campus unless specifically authorized by the Office of International Programs. Preconditions Student must have been lawfully enrolled on a full-time basis at an INS (DHS)-approved school for one full academic year before being eligible for CPT. Exception exists for graduate students whose programs require immediate curricular training. Available only while student is in F-1 status, before completion of the educational objective. Students in English language training programs are ineligible for CPT. Location Students may engage in CPT only for the specific employer, location and period approved and recorded by the DSO in SEVIS. Duration Depends on the specific period granted by the DSO. May be granted by DSO in increments of no more than one year, or until expected date of employment completion, whichever is shorter. No cumulative maximum, except that it can only be approved before completion of the academic objective. Hours per week Can be approved for part-time (20 hours or less) or full-time (over 20 hours). Field/level of work Must be an integral part of an established curriculum, in the student's course of study. Offer of employment Must have an offer of employment from an employer offering work that qualifies as curricular practical training. Effect on other work Use of full-time CPT for one year or more eliminates eligibility for Optional Practical Training. Use of part-time CPT does not affect eligibility for Optional Practical Training. Approval process Must receive written authorization from DSO, who records authorization in SEVIS and issues SEVIS I-20 with notation, before work begins. USCIS approval is not required. Miscellaneous Must continue to maintain a full course of study in F-1 status during the period of employment, but exceptions may exist for some CPT. Preconditions Student must have been lawfully enrolled on a full-time basis at a DHS-approved school for one full academic year before being eligible for OPT. Available both before and after completion of the educational objective, but different rules apply to pre- and post-completion OPT. Students in English language training programs are not eligible for OPT. F-1 and F-3 "border commuter students" are eligible only for OPT following completion of the course of study. Location Students may engage in OPT for any employer for the duration of OPT authorization, as long as the employment qualifies under OPT standards. Duration Cumulative maximum of 12 months per educational level. Part-time OPT is deducted from the 12 month limit at 50%. Hours per week 20 hours/week limit for pre-completion OPT done while school is in session and student still has coursework to complete. Over 20 hours/week can be requested for pre-completion OPT done during official school breaks or after student has completed all coursework required for the degree while the student is completing a thesis or dissertation. For post-completion OPT, only full-time OPT can be requested. Field/level of work Must be directly related to and commensurate with the level of the student's course of study. Offer of employment No offer of employment is required, but the student is expected to work or be actively seeking employment after the OPT EAD is issued. Effect on other work Prior use of full-time Curricular Practical Training for one year or more eliminates eligibility for Optional Practical Training. Approval process Must apply for and receive an EAD from USCIS with assistance of DSO before work begins. EAD application must be properly filed with USCIS before the student's program completion date. Student must begin application procedures sufficiently in advance to allow the DSO to update the SEVIS record with the recommendation, and to ensure that I-765 accepted by USCIS prior to the student's program completion date. Miscellaneous If doing pre-completion OPT, must maintain a full course of study during the period of employment (unless done during school breaks). Degree candidates that have completed all coursework must continue to make normal progress towards completing the thesis or dissertation required for their degree. The Office of International Programs (OIP) is responsible for all international students and scholars once they arrive at Sam Houston State University. We are glad to assist each department here at SHSU in bringing international students, visiting scholars/researchers and international faculty members to our campus. International students and scholars that have questions regarding their time here at SHSU can always visit us in OIP. We are located in the Farrington Building, room 116. You can send us an email at oip@shsu.edu or call us at (936) 294-4737. OIP provides information on most immigration issues and concerns for all international students and scholars here at SHSU. We are glad to help with other issues such as cultural adjustment, language barrier, financial problems, and health related matters during your time at SHSU. OIP offer several events during the year for all international students and scholars at SHSU. "It is easy to make friends at SHSU. SHSU is located in Texas, and Texas is known for its hospitality and friendliness. As long as you are willing to step out and talk to people, making friends in SHSU will be a very easy thing to do." "I love that SHSU faculty in the business school are so approachable and helpful. They are ready to work with you and help you gain the knowledge that the course tries to impart. I love the effort made by all the student organizations around campus to promote awareness and organize events for all of us." "I love the peaceful environment on campus. 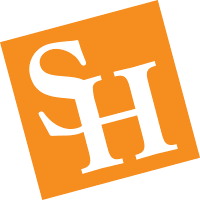 SHSU is located in Huntsville, TX, which is a small town not far from Houston, TX. I have also enjoyed being involved in the International Student Organization. If you come to Sam Houston State, don't forget to join ISO!" "There are so many things I love about SHSU that I don't even know where to start! Huntsville is a great city to live in, the international community at SHSU is very diverse, the campus is beautiful, there's a multitude of student organizations, all of my classes have a small student-to-teacher ratio, and the Office of International Programs is always there to help!" "I absolutely love the SHSU orange pride spirit. From wearing orange on Fridays, to attending campus events, and joining various clubs, there is something for everyone. The options are endless for those who want to get involved!" "The Biology Department at SHSU is small, which allows for a lot of interaction with professors. Most professors know me and go out of their way to help me. During my time here I've made friends with many international students, with whom I am able to learn from and exchange culture and traditions."